Fox v Casper (occasion unknown). 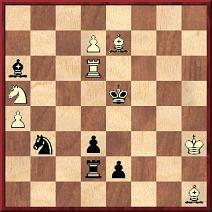 18 Qxg6 hxg6 19 Nxg6 fxg6 20 Bxc4+ Black resigns. ‘The players’ names and the occasion are taken from page 145 of the May 1901 Deutsche Schachzeitung, but subsequent publications added numerous changes. The Basis of Combination in Chess by J. du Mont claimed (see pages 135 and 215) that White was A.W. Fox. 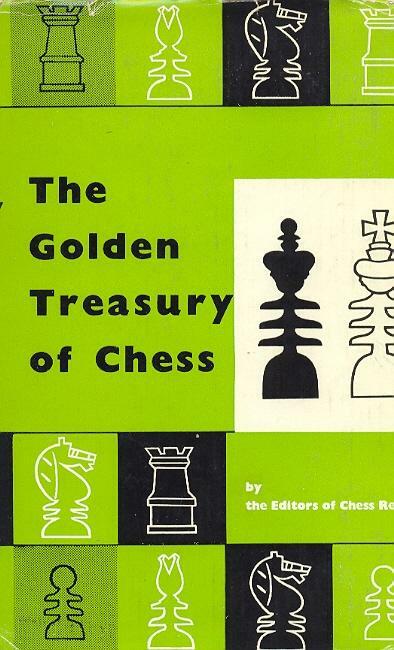 So did page 133 of The Golden Treasury of Chess “compiled by the editors of Chess Review” (London, 1958), a book which, moreover, stated “Washington, D.C., 1901”. Page 48 of 500 Ruy Lopez Miniatures by Bill Wall followed the Treasury version but gave “J. 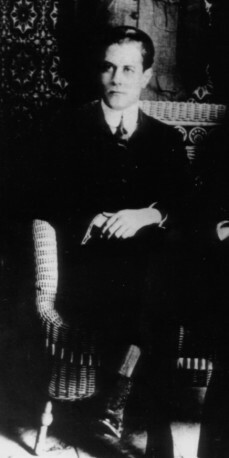 Bauer” as Black. 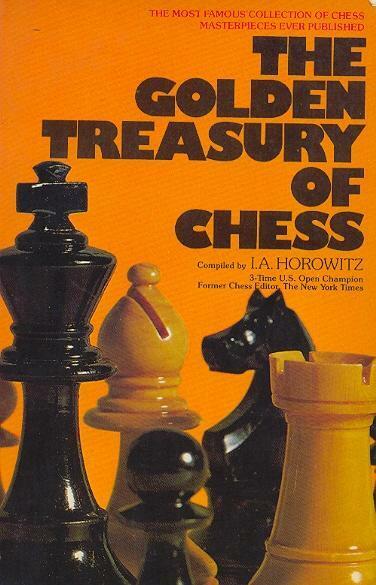 Page 46 of All About Chess by Al Horowitz proposed “A.W. Fox v J.H. 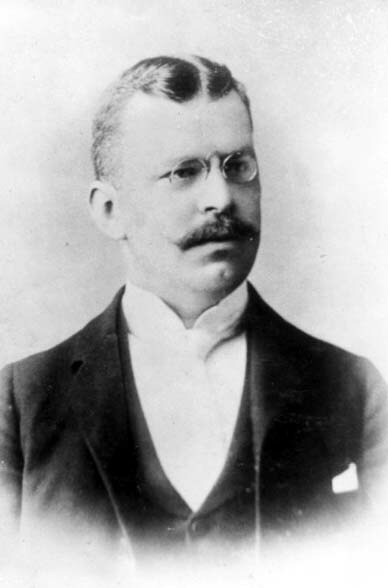 Bauer”, although the latter, who lost a famous game to Lasker, had died in 1891. That two such Qg6 games should be won by a player named Fox may seem curious to the point of fishiness, but there are even more complications, and an even greater apparent coincidence, to consider. No mention was made of where either ‘J.W. Fox’ game was played, and we wonder if a reader in the US has access to the Washington Star, to ascertain whether further details were provided there. 22 Re8 Resigns. ‘Trip-hammer brilliancy of the highest order’, commented the magazine. So what sense can be made of the Fox jumble? We have seen above that the American Chess World a) ascribed to both J.W. Fox and A.W. 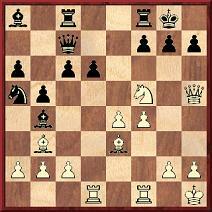 Fox brilliant miniatures against the same 8...Nb7 line in the Ruy López, b) stated that J.W. Fox ‘has been abroad for several years’, and c) quoted games played by A.W. Fox in Belgium and France. If A.W. 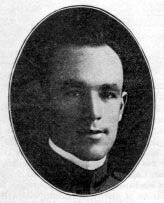 Fox was, as might be supposed, the relatively well-known player Albert Whiting Fox (1881-1964), his age would indeed be that of a student, and the logical conclusion from the foregoing is, of course, that the two references in the February 1901 to ‘J.W. Fox’ were simply mistakes for A.W. Fox. 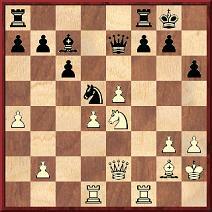 It may be added here that in 1901 the American Chess World gave only one loss by A.W. Fox, on pages 225-226 of the December issue: 1 e4 c5 2 Nf3 Nc6 3 d4 cxd4 4 Nxd4 g6 5 Be3 Bg7 6 Bc4 Nf6 7 Nc3 d6 8 O-O O-O 9 f4 Bd7 10 h3 Rc8 11 Bb3 Qa5 12 Qf3 Ne8 13 Rad1 a6 14 g4 e6 15 Qg3 Kh8 16 Nf3 Qd8 17 f5 gxf5 18 exf5 Na5 19 fxe6 fxe6 20 Ng5 Qe7 21 Rxf8+ Bxf8 22 Rf1 Nf6 23 Qh4 h6 24 Nf7+ Qxf7 25 Rxf6 Qh7 26 Bxe6 Bxe6 27 Rxe6 Nc4 28 Bxh6 Ne5 29 Qf6+ Kg8 30 Nd5 Qxh6 31 Ne7+ Kh7 32 Qxh6+ Bxh6 33 Nxc8 and wins. No occasion was indicated, but White was named as F.B. Walker (who, it will be recalled, the magazine said earlier in the year had lost a game to ‘J.W. Fox’). But were all the Fox games, and particularly the spectacular queen sacrifices, genuine? Most notably, in the game between Fox and Karper/Casper is suspicion justified over the way Black’s slow moves 18...Rac8 and 19...Ba8 allowed the final combination to be set up? For that game, moreover, what was Chernev’s source for naming Black as Casper, rather than Karper? And where and when was it played? Dr Hilbert’s book (page 189) also included the passage, quoted above, which began ‘Some lively speculation ...’, pointing out that it had appeared in Napier’s Dispatch column of 12 August 1901. Thereafter Dr Hilbert gave the Fox v Bauer encounter (‘Washington, 1901’). Thus we still have a contradiction over the venue of the Fox v Bauer game (Washington or Antwerp?) and the date (1900 or 1901? ), but an easier matter to settle is the reference in the May 1901 Deutsche Schachzeitung to ‘M.A. Fox’. An earlier publication of the game, we now note, was on pages 79-80 of the 15 March 1901 issue of La Stratégie, which presented it as an ‘Intéressante partie jouée récemment à Anvers’, headed ‘M. A. 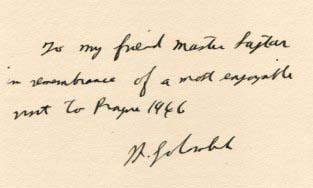 Fox – M. H.-E. Bauer’ and with notes ascribed to ‘M. A. Fox’. M. A. Fox clearly meant Monsieur A. Fox. But were the two games featuring that rarest of queen sacrifices on g6 really played not only by the same person, A.W. Fox, but also within a few months of each other? Were they really played at all? Or are there good grounds for regarding either of them as an invention or hoax? Marking the tenth anniversary of the publication by B.T. Batsford Ltd. of an algebraic edition of Fischer’s book My 60 Memorable Games, we make available here Fischer’s Fury, an account of the scandal. The date 1925 is an error for 1924, but we also suggest that the person on the far right is not Akiba Rubinstein but, probably, Ossip Bernstein. The latter participated in the event, as reported on page 300 of the October 1924 Wiener Schachzeitung. I thought of asking him whether he did not think it better for a man (or woman) to be able to play moderately well than not to be able to play at all. But I did not ask him. He would, I daresay, have agreed with my own opinion that the player of very moderate skill derives quite as much enjoyment and mental exercise from the game as does the skilful master. 3778. When were they played? 15…b6 16 b4 Nb7 17 Ne4 f5 18 exf6 Bxf6 19 N2c3 c5 20 dxc6 Bxc6 21 Qc4+ d5 22 Qxc6 dxe4 23 Bb2 Rc8 24 Qxb7 Bxc3 25 Bxc3 Rxc3 26 Bxe4 Rxh3 27 Qd5+ Kh8 28 Qxd8 Rxd8 29 Kg2 Rc3 30 Rad1 Rcc8 31 Rxd8+ Rxd8 32 f5 gxf5 33 gxf5 Kg8 34 Kf3 Rd6 35 Rc1 Rd7 36 Kf4 Kf8 37 Rc8+ Ke7 38 Ke5 Nh5 39 Bc6 Nf6 40 Bxd7 Nxd7+ 41 Kf4 Resigns. 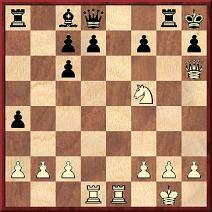 30...Rg3 31 Bxd5 Bxd5 32 Qxf4 Rg4 33 Qf6 Qxf6 34 exf6 c6+ 35 Ne5 Rf4 36 Bg3 Rxf6 37 Rxd5 cxd5 38 Rc1+ Kd8 39 Rc5 Ke7 40 Rxd5 Ke6 41 Rc5 Bd6 42 Rc1 Bxb4 43 Rd1 Kd5 44 Rb1 Bxa5 45 Rxb7 Bd2 46 Nf3 Bf4 Drawn. The list of defeated players included Rev. W. Morgan. Although Rev. E. O’Sullivan was not listed, a player who drew was Rev. E. ‘Malden’ (with the surname in quotation marks, as for a pseudonym). 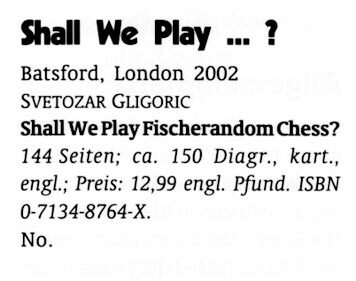 See also page 64 and pages 132-134 of the 2/1999 Quarterly for Chess History. How quaint such comments seem in today’s more hectic era. ‘What is a chess master player? What is the difference between a “master” and a “grand master”? About what date may we anticipate the advent of the “great grand master”? 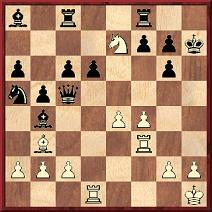 These are the conundrums of the moment for the amusement of any detached spectator of the chess world. Time was when there were no masters. There were plenty of woodshifters (as now), and a few good players of varying strengths (as now). But this must have been in a pre-historic era; even As-Suli has a boast about his mastership. Having invented the stupid term “master” (thrice stupid – untrue, unnecessary, unholy in its commercialism) the few good players temporarily basked in a complacent glow of superiority. Unhappy men! Fools! Were they permitted to enjoy their superiority undisturbed? Not on your life! By this path, and that snicket, and yonder ginnel, crept woodshifter after woodshifter into the sacred circle. With no precise definitions, interpreted by Babel in as many ways as the tongues of Europe, a flood of mediocrity has swamped the realm of “masters” thoroughly and efficiently as commercialism must ever swamp mere merit. The few good players of the age have realized that “master” is a ruined term. In self-defence someone has invented “grand master” as a new mark. Futile endeavour – at the present rate of production of “grand masters” it is a calculable distance to their successors, the “great grands”. The above is an article by ‘Theta’ on page 129 of the Chess Amateur, February 1926. 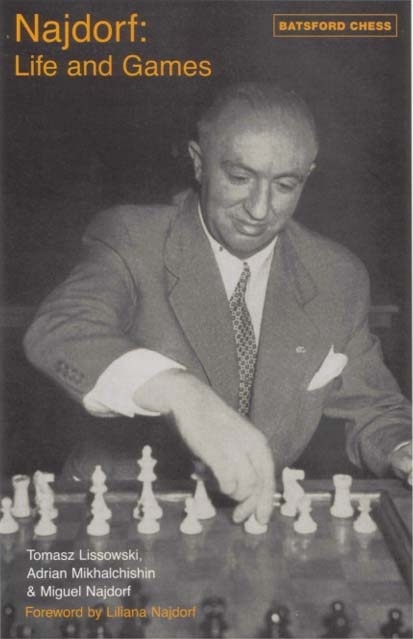 Which game did Irving Chernev declare ‘the greatest masterpiece ever created on a chessboard’? What was Chernev’s list of ‘the three greatest games ever played’? 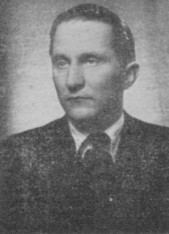 The gravest accusations ever made against a chess master concern the wartime record of Karlis Ozols of Latvia. An outline of the charges and an overview of his chess career are provided in our article War Crimes. 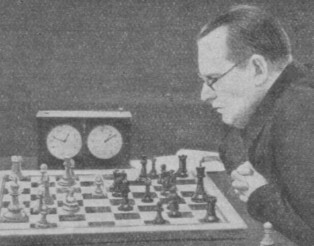 The game described by Chernev as ‘the greatest masterpiece ever created on a chessboard’ was, of course, Bogoljubow v Alekhine, Hastings, 1922. 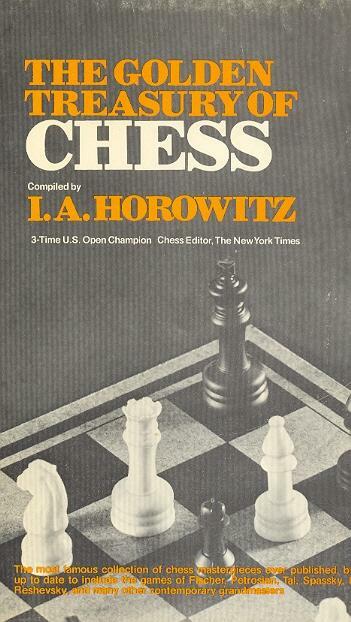 See page 281 of his book The Chess Companion (New York, 1968). 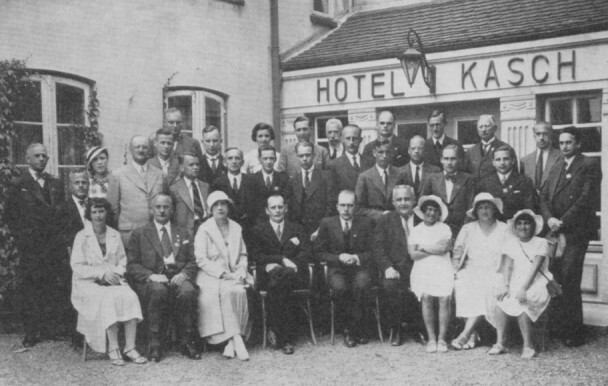 He gave his choice of ‘the three greatest games ever played’ in a letter on page 97 of Chess Review, April 1951: Bogoljubow v Alekhine, Hastings, 1922; Pillsbury v Tarrasch, Hastings, 1895; Réti v Alekhine, Baden Baden, 1925. 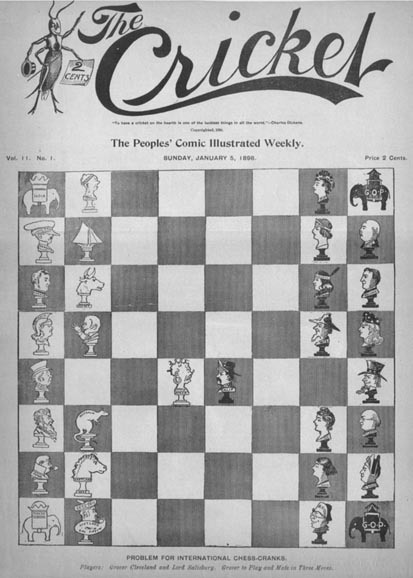 On the inside front cover of the November 1951 Chess Review Chernev also offered his nomination for ‘the dullest game ever played’: the 100-move Noa v Winawer, London, 1883. 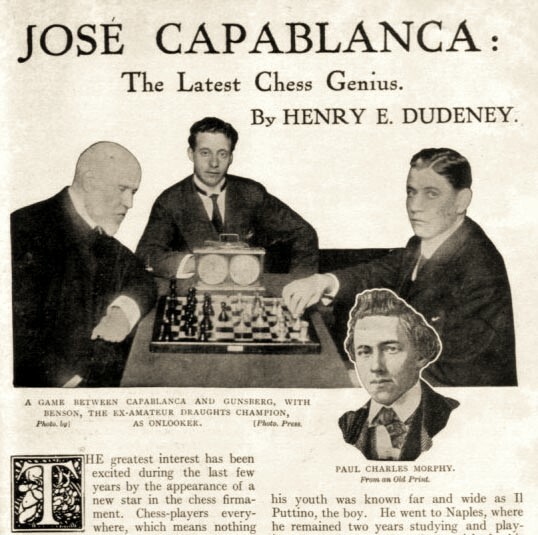 Page 499 of the same issue had another forgotten photograph of Capablanca, which we reproduce at the start of our Capablanca Goes Algebraic article. This is one of ten feature articles now available in the Archives, and additions will be made there from time to time. 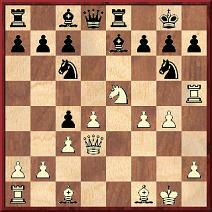 ‘The opening 1 e4 e5 2 Nf3 Nc6 3 Bc4 Nd4 has been called the Blackburne Shilling Gambit, in recognition, apparently, of J.H. Blackburne’s use of it to win small stakes from players. However, I have yet to find a single game with it played by Blackburne. In fact, the earliest game uncovered was played in New Zealand in 1911. How did Blackburne’s name become attached to the variation? Indeed, when did it become attached? Steinitz’s Modern Chess Instructor has a note on the line, but does not refer to Blackburne. Mr Blackburne’s Games at Chess makes no mention of it. 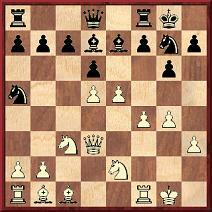 Nor does Freeborough and Ranken’s Chess Openings Ancient and Modern attribute the line (given in a footnote) to anyone. E.E. 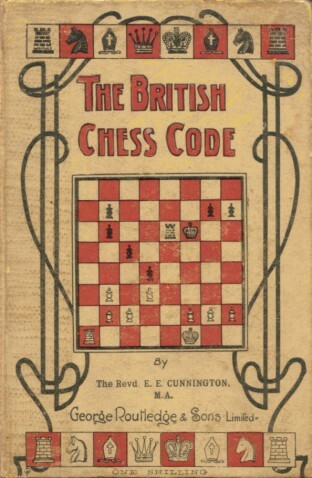 Cunnington’s books (one on traps, one on openings for beginners), which were published in London shortly after the turn of the century, give the moves but do not name Blackburne. 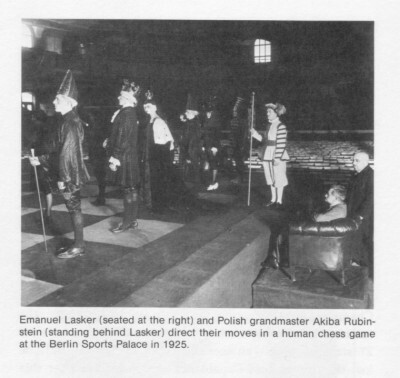 On page 109 of the May 1956 Chess World M.E. Goldstein stated that Savielly Tartakower (‘a many-sided genius’) had been ‘a competent poet in Russian, German and French’. Wanted: further information. 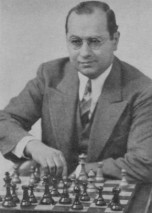 A 1937 US magazine stated that X was ‘not so many years ago considered this country’s leading amateur chessplayer’. Who was X? If any correct answers are received we shall be astounded. 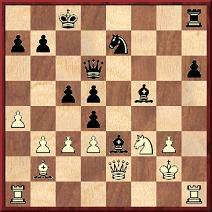 How often the composition has graced FIDE proceedings since 1951 we do not know. 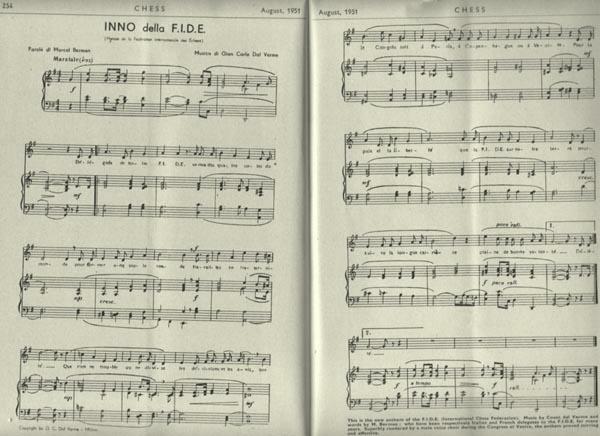 We refrain, moreover, from commenting on whether, today, the Federation requires not an Anthem but a Requiem. At present no source is available; can any reader kindly provide it? What more is known about this connection? 23 Nf6+ (‘Hindin agrees with us that the sacrifice was rather spectacular than necessary, and admits that he played it mostly out of consideration for the onlookers, who had waited 25 minutes for him to move.’) 23...Nxf6 24 Rxf6 gxf6 25 Qg4+ Kh8 26 Qh4 Bxe5 27 Re1 Qe6 28 Qxh6+ Kg8 29 dxe5 f5 30 Qf4 Rfd8 31 g4 fxg4 32 Be4 Kf8 33 Bf5 g3+ 34 Kxg3 Qb3+ 35 Re3 Qxb2 36 Be6 Resigns. The above quote is taken from a follow-up item about Hindin on pages 69-70 of the 30 March 1938 Review. This added the information that he was born in Riga in 1888. We are still hoping to find out more about a matter mentioned in C.N.s 385 and 2763 (see page 129 of A Chess Omnibus), i.e. 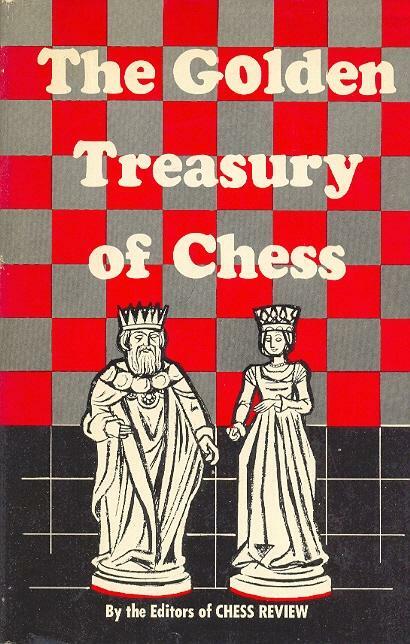 why Francis Wellmuth’s 1943 book The Golden Treasury of Chess later removed his name and eventually credited authorship to Al Horowitz. See also C.N. 3722, which presented a photograph of Wellmuth. The book contained, on page viii, a 1902 acrostic by Wellmuth as a tribute to ‘Harry Nelson Pillsbury’, to whom the book was dedicated. There were 540 games, including four played by Wellmuth. 2. 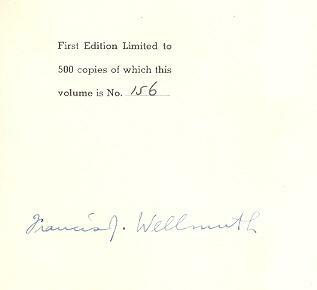 A ‘First Edition Limited to 500 copies’ signed by Wellmuth. The same contents as the above book, except that on the title page the publisher was not McKay, Philadelphia but ‘New York Horowitz & Harkness’. 3. 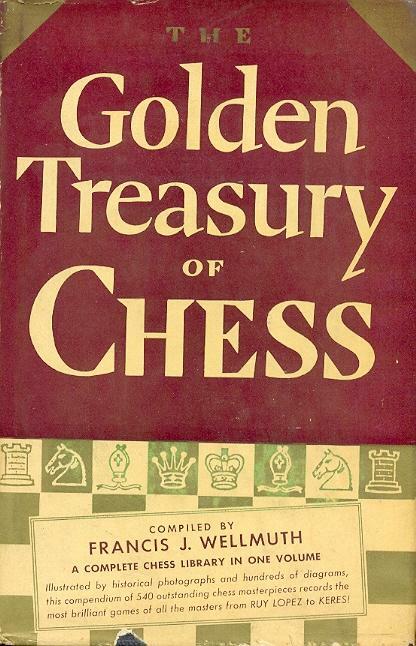 A hardback revised edition from Harvey House, New York (326 pages), the title page of which said ‘Compiled by The Editors of Chess Review’. The imprint page had ‘Copyright, 1943 By Horowitz & Harkness’ and ‘Copyright, 1956 By I.A. Horowitz’. 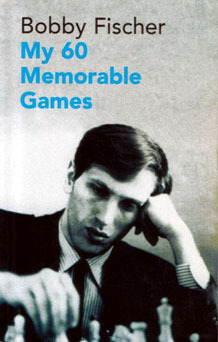 Marshall’s Introduction (with its reference to Wellmuth) and Wellmuth’s own introductions (with the first person singular pronoun) were still there, as were Wellmuth’s four games, but the acrostic had gone, as had the frontispiece photograph of Wellmuth, who was mentioned nowhere as the author or compiler. 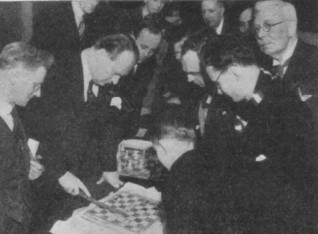 A Part VII (‘The Period of Russian Hegemony’) was added (on pages 299-320), comprising 31 games played between 1943 and 1956. 4. A hardback edition from Arco Publications Limited London, identical to the previous item, except that the imprint page stated ‘Copyright in England, 1958’ and all the photographs in the above editions were omitted. 5. 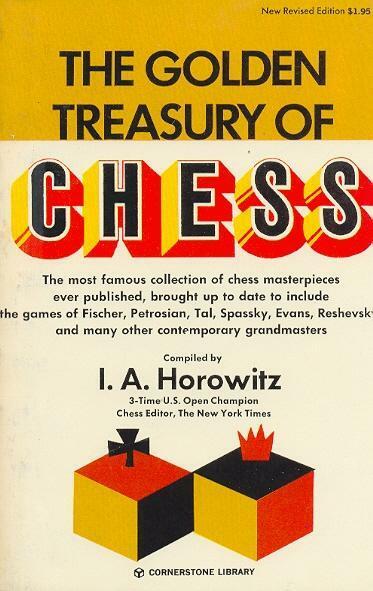 A paperback edition published by Barnes & Noble in 1961 (328 pages), with authorship ascribed on the title page as: ‘Compiled by Al Horowitz and The Editors of Chess Review.’ The imprint page had ‘Copyright, 1943 by Horowitz & Harkness’ and ‘Copyright, 1956, 1961 By I.A. Horowitz’, as well as the following: ‘Published in 1961 by Barnes & Noble, Inc. by special arrangement with Z.E. Harvey, Inc.’ There was a second printing in 1962. A further four games were added, from the period 1956-60, making a total of 575. 6. 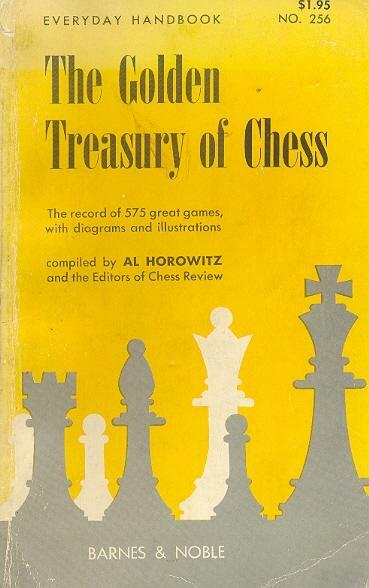 A hardback edition from Galahad Books, New York City (191 pages), again with ‘Compiled by Al Horowitz and The Editors of Chess Review’ on the title page. The imprint page stated: ‘Copyright 1969, 1961, 1956 by I.A. Horowitz. 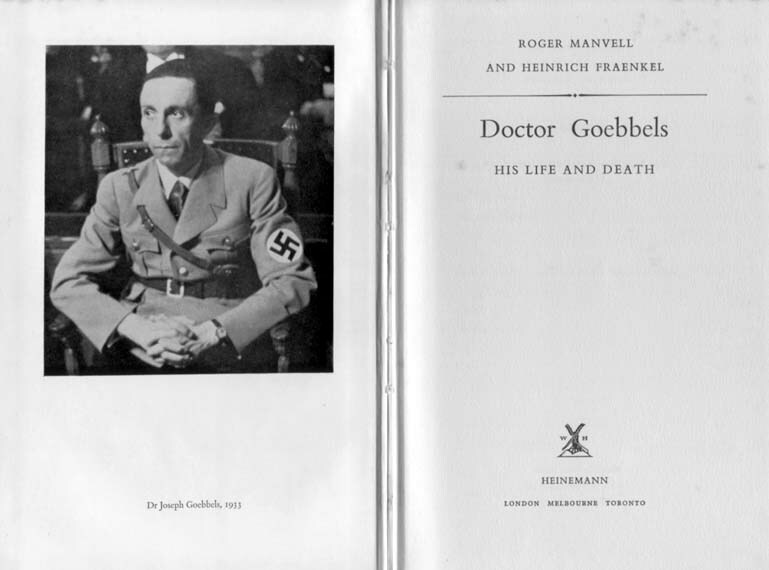 Copyright 1943 by Horowitz and Harkness.’ Marshall’s Introduction, with its reference to Wellmuth, had gone. Although 11 games were added from 1962 to 1966, many of the earlier games (including all four of Wellmuth’s) were removed, and there were only 322 in total. 7. Various paperback reprints (from 1969 to 1978) by Cornerstone Library, New York, of the preceding edition, although the imprint page stated: ‘This completely new revised edition is published by arrangement with I.A. Horowitz and Harvey House, Inc.’ The later reprints of this paperback had an extra game (won by Tal in 1964) on the previously blank page 186. These personal words from Wellmuth were still there in the latest edition of the book that we have seen (1978), even though acknowledgment of his authorship of the book had long since been dropped. Indeed, we were about to write that Wellmuth’s name never appeared on any title page after the original 1943 editions, until we noted that according to page 274 of Douglas A. Betts’ Bibliography the 1943 book was ‘issued in Great Britain by Pitman, 1947’. Having never seen that UK version, or found it mentioned in various other bibliographical listings, we should like to hear from any reader who owns a copy. It is unclear where CHESS obtained this ‘fact’ about his age. Boris Verlinsky (born in 1888) won a tournament in Odessa in 1910, ahead of Bogoljubow. A miscellany of three rare photographs of Alekhine. The first dates from around 1927, the second shows him in play against Flohr at Hastings, 1933-34, and the third was taken at Hastings, 1936-37. For those who would welcome a hint as to who was described by a 1937 US magazine as being ‘not so many years ago considered this country’s leading amateur chessplayer’ we give the initial of his surname: P. Even now he remains singularly difficult to identify, and we shall revert to this topic shortly. Samuel Tinsley, chess columnist for The Times, died in 1903. Gaige’s Chess Personalia lists also an Edward Samuel Tinsley (a son, perhaps? ), but he died in 1937. Thus attendance by either at Margate, 1939 seems unlikely. As noted on page 147 of A Chess Omnibus, in January 1926 a radio presentation about chess on the British Broadcasting Company was made by ‘Mr S. Tinsley’, a brother of Edward. His forename was Samuel (BCM, April 1903, page 159), but we do not know whether he was still alive in 1939, whether he was the person who spoke to Najdorf or, indeed, whether the alleged 1939 exchanges occurred at all. Can these statements (similar, but not identical, to what was quoted in C.N. 3753) be corroborated? Peter Treffert (Lorsch, Germany) has sent us an article by Michele Visco about Verlinsky, entitled ‘First Russian Grandmaster of Chess’, in the August 1998 issue of Deaf History Journal (published by the British Deaf History Society). Although it provides no information on when Verlinsky learned chess, it reports that he was deaf from birth (but learned to speak in his teens) and that he was awarded the (Soviet) grandmaster title following his victory in the 1929 USSR Championship in Odessa. The article quotes from that year’s Shakhmatnyy listok the minutes of a decision by the ruling Soviet chess body to accord him the title for life, with the official presentation to be made by N. Krylenko. 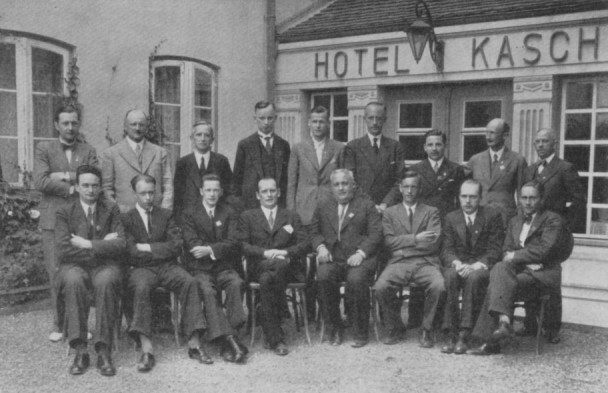 No information has yet been found about Joseph Goebbels’ alleged interest in chess. In 1960 ‘Assiac’ (i.e. Heinrich Fraenkel) co-authored a biography of him with Roger Manvell, but we have noted no references to chess in it. 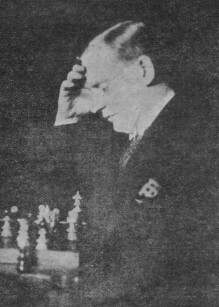 Perkins’ pre-eminence in the Brooklyn Chess Club was mentioned on page 223 of the November 1916 American Chess Bulletin, which reported that he had recently been ‘deposed’ by J.H. Taft, Jr. We are, incidentally, still seeking information about Taft, whom Marshall defeated in a match in New York in 1910 (+2 –1 =2). 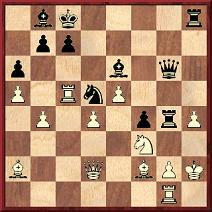 See pages 177-178 of Chess Explorations for Taft’s win. Can any reader discover information about Hodges’ acting career? Any reader who has not visited our Archives recently will find that they now offer over 20 feature articles dealing with a wide range of figures from Napoleon Bonaparte to Josh Waitzkin.